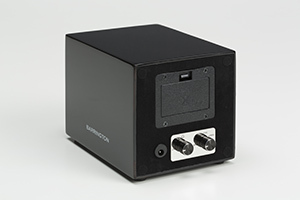 Barrington aims to provide affordable automatic watch winders of the very highest quality. We’re passionate about precision engineering and superior manufacturing, which is why all of watch winders have been created to offer optimum care for your watch or watches, as well as featuring a simple and attractive design. Watches are high calibre precision instruments, and like any complex machinery, they need regular care to work at their best. The internal cogs and springs are coated in a fine lubricant which, if not regularly ‘exercised’ can wear away and cause damage to your watch. A watch winder is a mechanism designed to mimic an automatic watch being worn, keeping the mechanism running in good order and preventing watches from running down, when they will require painstaking resetting. It’s like having your own permanent maintenance and watch repair kit. All Barrington watch winders come with a comprehensive set of standard features. All of our best automatic watch winders are fabricated using ultra-quiet Japanese motors. That’s because although we want you to notice our high quality design, we believe the best watch winders should be seen and not heard. Our watch winders operate on a principle of gentle rotation, using a delicate mechanism to rotate for a minute before resting and then starting again for another minute. All our watch winders feature multiple rotation settings: clockwise, counter clockwise and alternating. They deliver multiple turns per day, with settings including 650, 750, 850, 1,000 or 1,950 to suit any watch. Most watch manufacturers provide guidance on this, but as a rule of thumb heavier watches require more TPD and we prefer setting our watches on an alternating rotation schedule. Our standard watch winder box is designed with an adjustable cushion with variable strap and bracelet circumference of 20cm to 24cm. Smaller sizes are also available. Simply remove the cuff from the winder, wrap your watch around it and close the strap, then replace the cuff. All our watch cases offer compact, subtle and stylish solutions to your watch care needs. A simple LED light lets you know when the winder is in operation. All are fitted with a standard British three-pin plug, but European and US versions are available on request. All of Barrington’s best automatic watch winders are AC mains operated, single winders can also be AA battery operated and so are ideal for use in a safe. As well as the standard features, our multi watch winders also come with additional luxury and practical elements to improve performance and enhance experience. As well as a single watch winder, Barrington also offers a dual watch winder, a 4 watch winder, 6 watch winder and even a version for 12 watches. So you can keep all your timepieces in perfect working order simultaneously. The dual watch winder is housed in a stylish closed display case measuring 24 x 18 x 26.2cm. The 4 watch winder’s closed display case measures 24 x 18 x 35cm, whilst the 6 measures 33 x 18 x 35cm, and the 12 33.5 x 26 x 46cm. Our multiple watch cases come with individually programmable rotors, digital displays and a built in drawer for storing other watches. A remote control makes operating your automatic watch winder box simple and efficient. Digital touch screen options also offer a greater degree of control and ease of use. Barrington’s best automatic watch winder models are designed with a superior soft feel interior to provide the best possible care for all your watches. The digital display and touch screen capability give our multi watch options a simple and elegant design and practical application. We are always on hand in our Buckinghamshire office to answer any queries you may have regarding our best automatic watch winders; just call us on 01494 410126.